Restoration, the final step, is the process of restoring your home or business to its pre-water damage condition. Restoration may involve minor repairs, such as replacing drywall and installing new carpet, or may entail major repairs, such as the reconstruction of various areas or rooms in a home or business. Depending on your particular situation, we will assess what needs to be restored and what needs to be replaced. We try to restore over replace items if possible to make it "Like it never even happened. ", this is a cornerstone of our business. We do have to understand when something can not be restored and in that case, the item will need to be replaced. 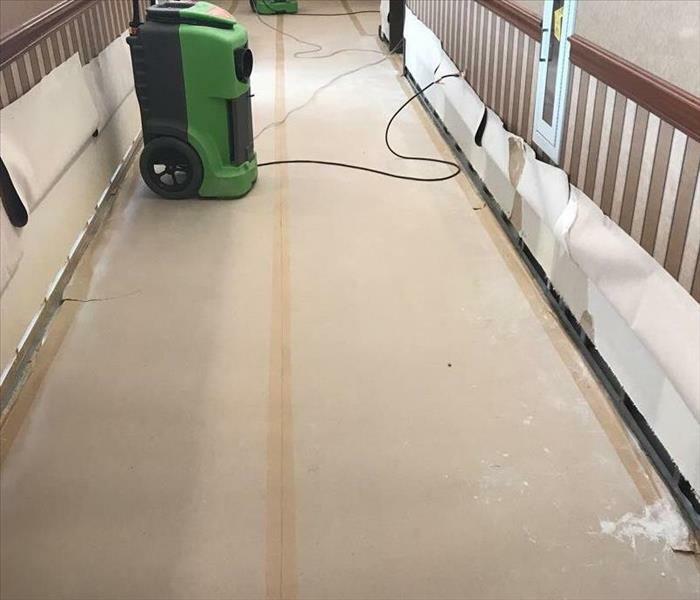 SERVPRO of Eastern Main Line / Bala Cynwyd can simplify the restoration process by handling both the initial water damage mitigation and rebuilding the affected areas. Having one qualified company for the entire process can save time and keep costs low. We can provide this continuity by supervising a full range of restoration services that will bring a building back to full functionality. 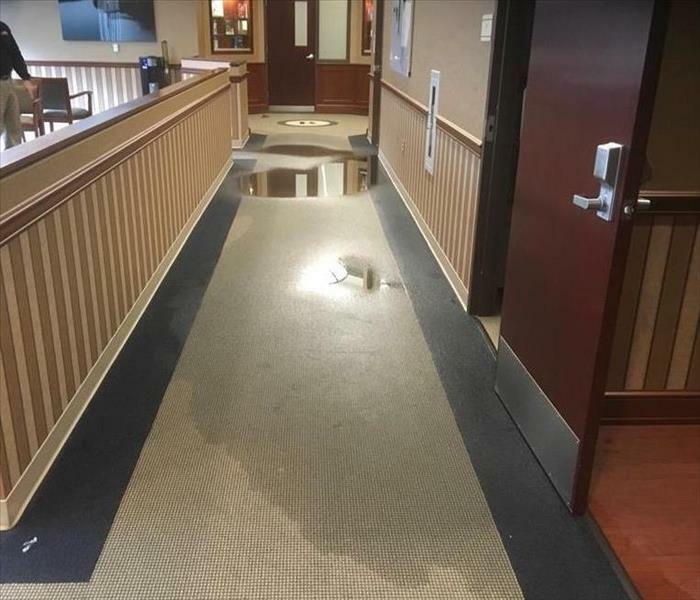 A roof leak lead to puddles everywhere inside a factory.